Healthcare professionals frequently hear the term integrated care. However, many are confused about what it means, its implications for future healthcare practice, and how they might participate in an integrated care environment. In this course, you will become familiar with various models and configurations of integrated care. You will learn about the costs, benefits, and goals of integrated care systems. As there are numerous challenges to integrating care, you will become aware of some of these key challenges, and familiar with particular characteristics of well-functioning integrated care systems. Finally, you will learn a variety of ways that behavioral healthcare professionals, including you, can function effectively in an integrated care environment. 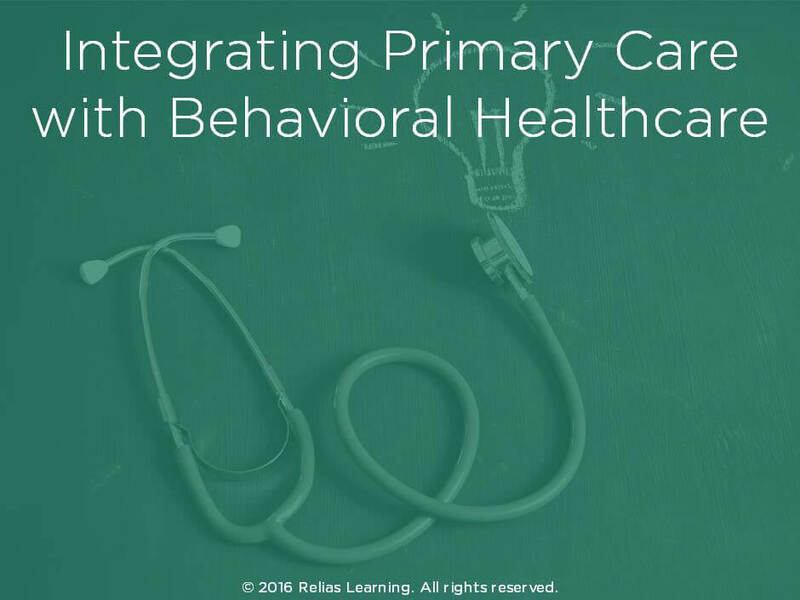 This course is designed for entry to intermediate-level healthcare professionals who wish to learn more about the process of integrating primary with behavioral healthcare. This module is text-based. Recognize the core competencies required of an integrated care workforce. Describe the costs, benefits, and goals of an Integrated System of Care. Identify challenges to integration, as well as characteristics of well-functioning systems. Summarize effective approaches for behavioral health professionals in integrated care environments. The target audience for this course is: entry and intermediate level Alcohol and Drug Counselors; entry and intermediate level Nurses; entry level Professional Counselors; entry level Psychologists; intermediate level Social Workers; in the following settings: Health and Human Services.